You've been eyeing up that new sweater for some time now. You've thought about it, visualized what you'll wear it with and can even imagine how you'll feel wearing it. Finally, the day arrives when you decide you're going to make that beauty yours. Off to the shop you go to exchange your money for a brand new sweater. But on the way home from the store, something happens. You start thinking….did I really need this? I don't know…it's nice, but it was kind of expensive. Is it the right color? Was I too spontaneous? Will I actually wear it? Do I need it? The feeling in your gut worsens the closer you get to home. When you arrive home, there's a full-on knot in your stomach, and all you can think is….why did I buy this?!? Buyer's Remorse — it's a visceral response related to the initial shock of spending money. It's that tight, yucky feeling in the pit of your stomach. The hot, flushed feeling in your face. And the disdain you feel for parting with your money. Yep, the feeling that's telling you your credit card is full, or you bought a white sweater when you already have a perfectly good one hanging in your closet. Why. Did. I. Buy. This? So, what exactly is buyer's remorse? It's a feeling of regret brought on by cognitive dissonance — the anxiety that results when your beliefs and behaviors don't line up. Essentially it is the uncomfortable feeling of remorse you felt after buying a new sweater you may or may not have needed. And it can be attributed to many factors. or feeling that you didn’t actually make a choice (like you were bamboozled, tricked, or pressured). 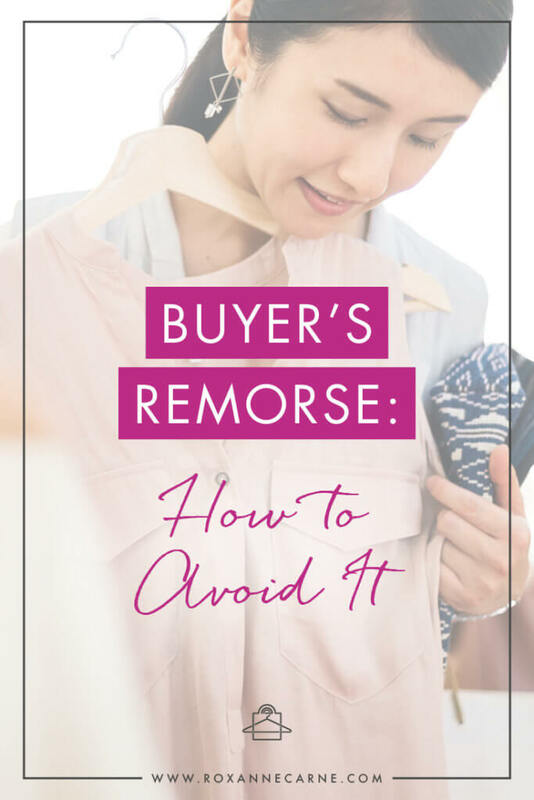 According to psychology writer, Adam Sinicki, buyer's remorse is perfectly normal and will usually go away once you've come to terms with your new item and let the shock of spending money pass. But what causes this feeling? 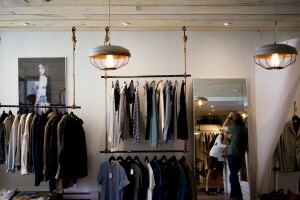 “Partly it’s the fact that we have very mixed feelings about buying things to begin with. We are ‘risk averse’ creatures, meaning that we will generally go out of our way to avoid any and all risk we can. Spending money is always a risk because there’s always a chance that the item won’t be as good as we thought or that it will break/have been a mistake. Why is buyer's remorse a problem? Aside from buyer's remorse sucking the fun out of every shopping experience, it can make enjoying the things you do purchase troublesome. You're more likely to have contempt for the clothes in your closet if they're almost all associated with feelings of guilt or regret. 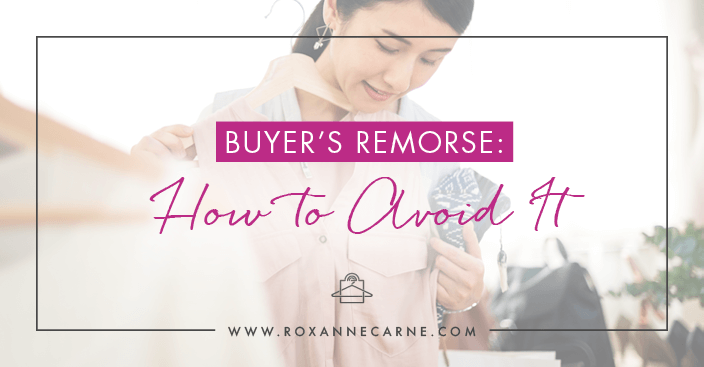 Buyer's remorse prevents you from loving your clothes and feeling comfortable and confident in them…when the goal is to feel radiant! Your clothes are meant to build confidence and leave you feeling empowered. Even if the feeling of buyer's remorse eventually dissipates over time, it's still not fun. So…why not avoid it, if you can? With some knowledge around the feelings you might experience when buying new clothes, and a little discipline, you can take control of your buying power. Overspending causes major regret. If you carry cash and only use what you have, you'll consider every purchase you make. And once the cash runs out, that's it…there's no more. Shopping without a plan can lead to major buyer's remorse. It's too easy to wander into a store and get sidetracked by all the things you imagine will make your life better. And you can too easily set aside any negative thoughts or emotions associated with spending money and only focus on what you desire. If you purchase slightly more expensive items — a price tag that makes you twinge a bit at checkout — you'll end up buying items that are better value and last longer. It's easier to justify a purchase if you can use it for years to come. Cheaper items will wear out quickly and need replacing every season. There is an illusion that you'll save money if you buy cheaper clothes. But is it really saving money if spend it because of a sale? The answer is no. More than likely, you'll end up spending more money. Instead of browsing sales with no purpose (and buying things just because they're discounted) only go to sales when you're looking for something specific. A good question to ask yourself is “would I buy this at full price?” If the answer is no, then you're not saving money. It's a purchase you'll likely regret later. If you see something you like, sit on it for a full day. If you're still thinking about the item, then consider buying it. This will help you to avoid spontaneous purchases. It will also give you an opportunity to see if the item is part of your shopping plan and if it actually goes with anything else in your closet. If you're still struggling to make purchases without regret, take this quiz before you hit the buy now button or swipe your credit card. And be sure to answer honestly!! While it's not impossible to avoid buyer's remorse, it does take a little bit of effort and some planning. The guidance of a stylist is an excellent option to help you stay on track when you're shopping…or shop for you! It's also a great way to ensure you only buy what you need and stick to your budget. Do you have any helpful tips to avoid buyer's remorse? How about making better purchasing decisions? Join the conversation on Facebook and let's talk about it!